KKR player list 2019 is placed here. 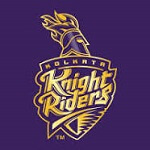 The Knight Riders had a middling sort of a season last year, after finishing third on the points table and third overall too following their defeat at the hands of Sunrisers Hyderabad in the second qualifier. Which is why it’s bit of a surprise they have gone for a major overhaul – by this season’s auction standards anyway – to their squad. Kolkata Knight Riders 2019 team is placed below. As many as eight players have been released from the squad which includes five overseas players. Mitchell Starc’s exclusion is understandable given he will be spearheading the Aussie bowling attack during the 2019 World Cup and would be needed to participate in the training with team Australia even before the IPL has probably ended. However, the likes of Mitchell Johnson and Cameron Delport might well have been shown the door for poor form and the need to have a good back-up strength to their overseas batting and bowling department. Among others shown the door were the more obvious Javon Searles and Vinay Kumar who had rather poor IPL seasons last year and Ishank Jaggi, Tom Curran and Apoorv Wankhade. Dinesh Karthik will continue to lead the Kolkata Knight Riders while Robin Uthappa, who has had an up and down sort of a time with the Knight Riders, continues to get a go in the competition. Chris Lynn’s presence is surprising, especially if he gets a World Cup call-up but the management might have punted on his presence in the league stage winning two or three matches off his own bat. Andre Russell lends a lot of balance to the side and like Lynn can win the match on his own, either with the bat or the ball, while Sunil Narine is the usual suspect in the side, supported through thick and thin. The rest of the Kolkata Knight Riders squad has a look and feel of a futuristic side like last year but the kind of growth that the youngsters like Kuldeep Yadav, Kamlesh Nagarkoti, Shivam Mavi and Shubman Gill have shown has been spectacular and it could just be their year. KKR players who may depart early to their respective countries to prepare for world cup: Andre Russell (WI). The salary cap remaining for the Knight Riders is Rs.15.2 crores while they have 12 empty slots that can still be filled – seven Indians and five overseas. IPL KKR team list 2019 is placed below. This is the best playing 11 for KKR.